Click photo to download. 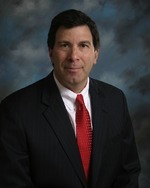 Caption: Eric R. Mandel. Judaism is punctilious in its adherence and respect to agreements and contracts. For example, most rabbis would not marry a woman who had not received a “Get” (Jewish Marriage Contract) in order to remain faithful to an agreement, even in cases where a civil court has granted a divorce. Yet many American Jews who believe in the rule of law for our religious, civil and criminal justice systems and the binding nature of contracts seem to allow their sensibilities to be changed in regard to the binding agreements made by Palestinian Arabs. It is time for all those who claim to be within the pro-Israel tent from right to left, to come to an agreement that words matter and that signed agreements must be honored. It is only fair and logical that consequences should be imposed upon those who break those agreements. We live in a nation that believes in the rule of law, and those breaking agreements should have consequences reviewed by unbiased legal bodies. Unfortunately, the UN is composed of a large number of non-democratic states. Its own human rights commission is best known for the notorious human rights abusers that comprise its council. Israel needs to seek redress, but not in a morally corrupt institution which has made Israel the Jew among nations. Fortunately, Israel has the U.S. Congress on its side, which controls the purse strings of its foreign aid. Let’s wish our congressional representatives well in their deliberations. Hopefully, they will impose financial consequences upon the Palestinians who will have to think twice before breaking an agreement again. All those who truly yearn for peace will come to realize that imposing consequences will actually lead to a more sustainable and longer-lasting chance for peace. Eric Mandel, MD, is the co-chair of the StandWithUs/New York office. Posted on December 2, 2012 by Eric R. Mandel/JNS.org and filed under Conflict, Israel, Opinion.